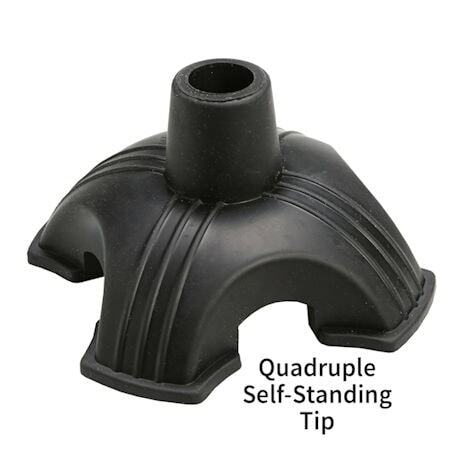 Unique quadruple cane tip enables virtually any cane to stand alone. 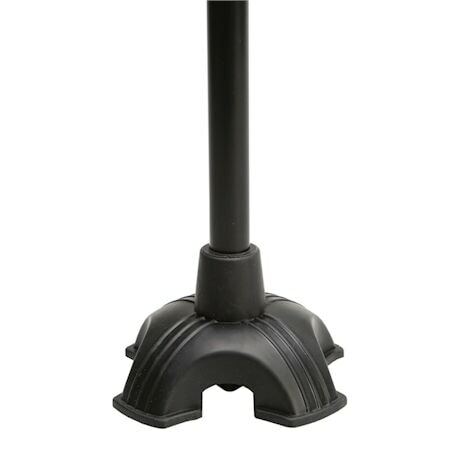 The lightweight, sturdy rubber tip enhances stability and reduces stress impact to your hand, wrist and elbow. Adds confidence while navigating almost any terrain. Black. Fits most standard canes. 3¾" x 3¾" x 2½"H. 7 oz.